At first the BILLWAVE 4 LIFE tag seems a little intimidating. 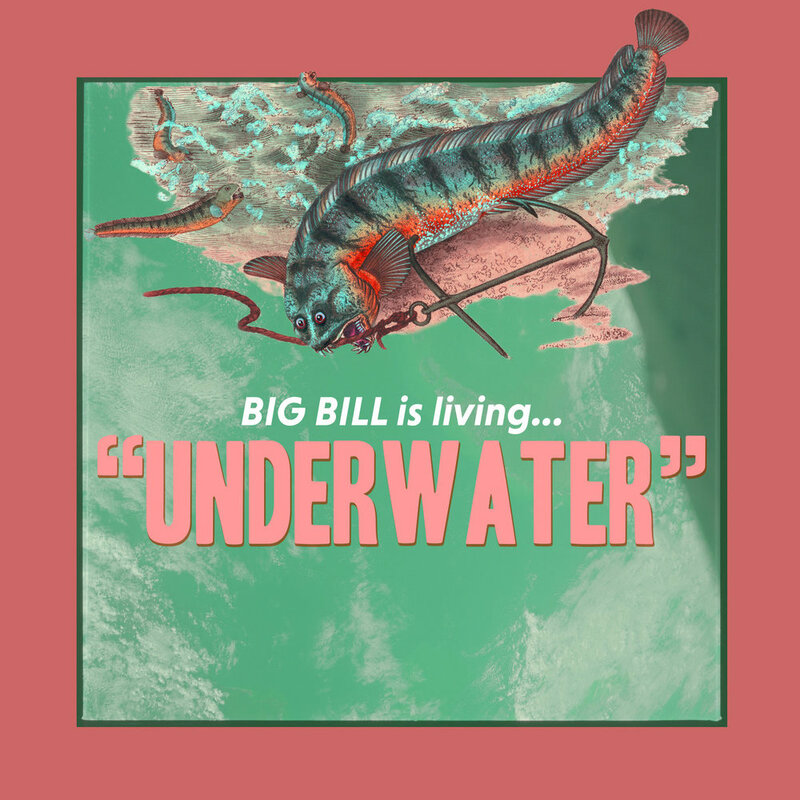 Then you listen to “Underwater” and understand the absolute devotion to Big Bill everyone who hears them acquires. Originally formed in 2011 by Eric and Cody Brandon, the band has seen a bunch of rotating members until drummer Alex Riegelman and bassist David Fitzhugh, an old highschool friend of the band stepped in. With a solid lineup and their trademark post-punk new wave style the band was set to release their first single for their debut LP, Stand By Your Bill. The first single released for the new album was “Underwater.” Starting out with a buzz, the song pulls together scuzzy guitar riffs and nitty-gritty vocals. Saxophone meets synth and it seems like anything in this song is possible, the anticipation of a surprise something they use to their advantage. Starting out with an even tempo, suddenly the band shifts and the punk influences come center stage. Playing with attitude and feeling like anarchy the first time you listen to it is like a rollercoaster ride in the sense you have no idea what to expect. Their confidence coupled with the stylistic progression from the roots of post-punk into their own off kilter brand makes it unreplicable. Undeniably fresh, the track provides a glimpse at the otherwise elusive band. “Underwater” is in your face and the second it gets caught in your head it doesn’t get out. With Stand By Your Bill set to release November 17 every listener is suspended in ample anticipation. With only one track the standards have been set astronomically high for Big Bill, ones everyone knows they won’t just meet but exceed.